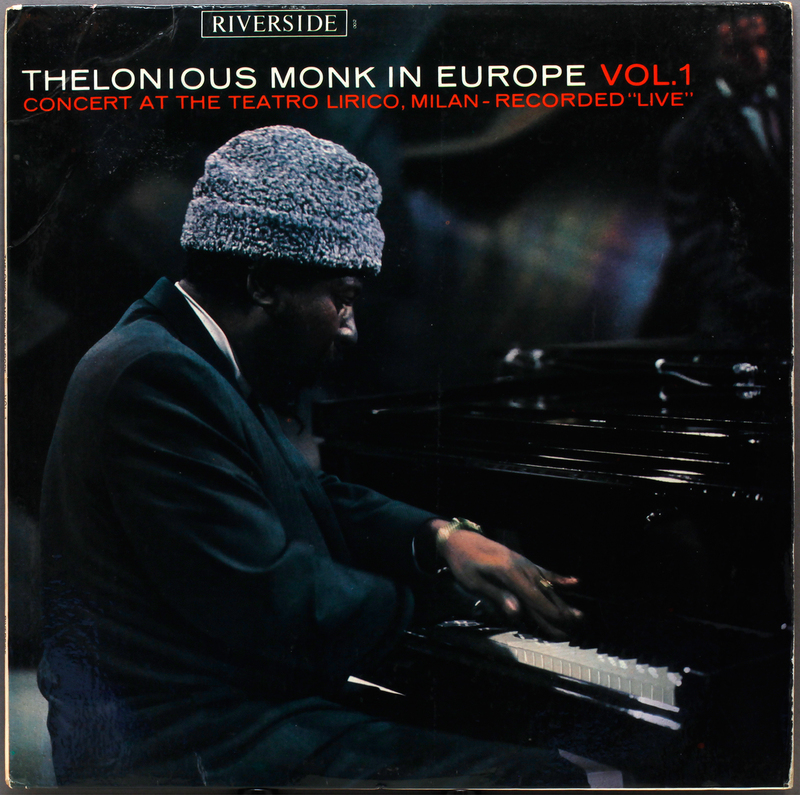 In 1961, Monk toured Europe to launch his new line of advanced-bop headwear. 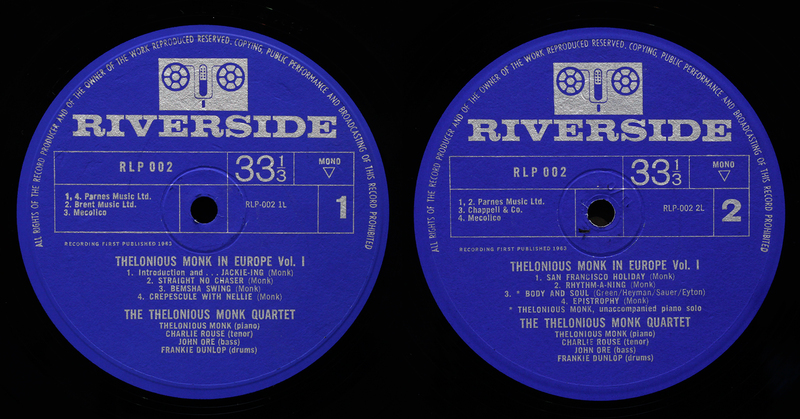 Material recorded at these concerts were Monk’s last albums to complete his contractual obligations to Riverside after moving to Columbia in 1962 and were not published by Riverside until 1963. Playing concerts in Essen, Amsterdam, Paris, Milan, Zurich, Bologna, Rome, Bern, Manchester and Stockholm, Copenhagen and Berlin, the Monk repertoire was duly offered up each evening and gave rise to many recordings, the Riverside being only a small selection. Critics, critics, always looking for something “critical” to say, even Ira Gitler putting the boot in. 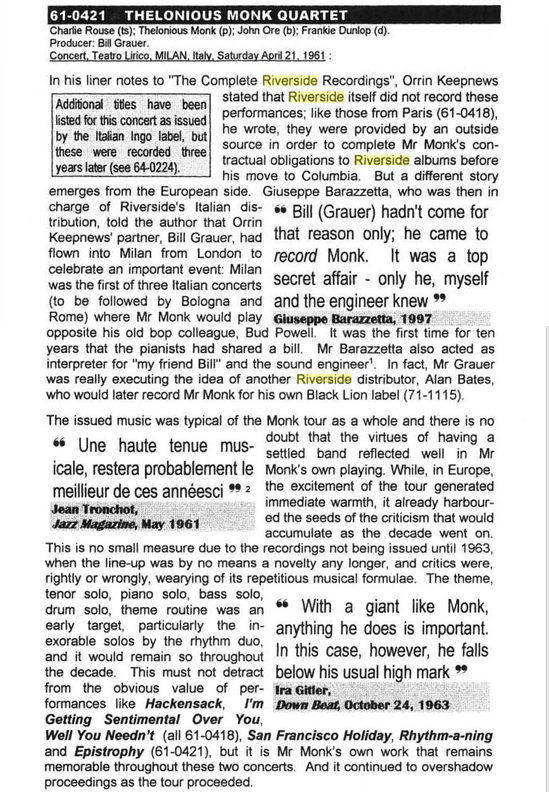 Of the Bud Powell story there no sign on the record of his presence, and unhelpfully from the point of view of owners of the Riverside Milan and Paris concert volumes including me, apparently the Sveeedish sessions were much better recordings. Thanks Chris, appreciate the heads up. And the Sveedish volume is…? Yes, the Dragon release on the far right below. Well I like my recordings but for any Monk completists out there it looks like each you can follow the tour one city-LP at a time. Lovely cover photo, strange catalogue numbering – RLP 002 It’s as though Riverside’s numbering had gone around the clock and started again. Peculiar to this two-volume series perhaps. It is a Dutch Philips pressing. 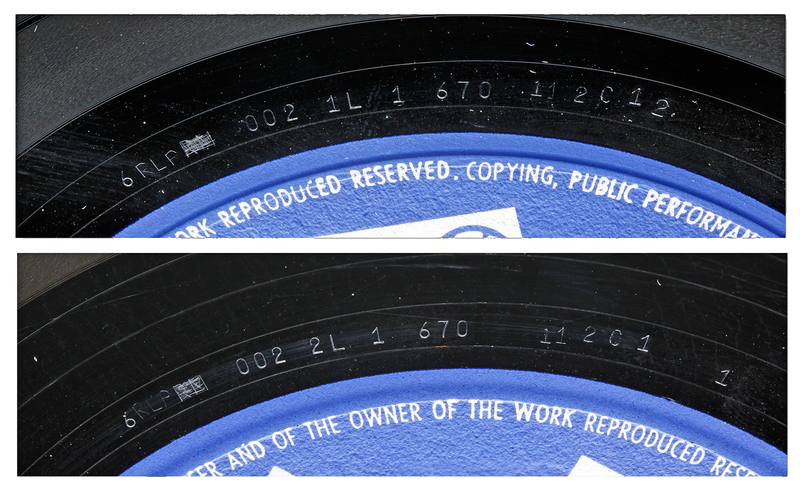 Philips Dutch pressings tend to be quieter than their UK Philips counterparts. I have a theory why this may be so. In response to the rising cost of vinyl, Philips dutch records were pressed on five-year aged gouda. Should you ever tire of a record, it can be recycled and brought back into service as a tasty picnic snack. Monk never sounded so good nor tasted so delicious. 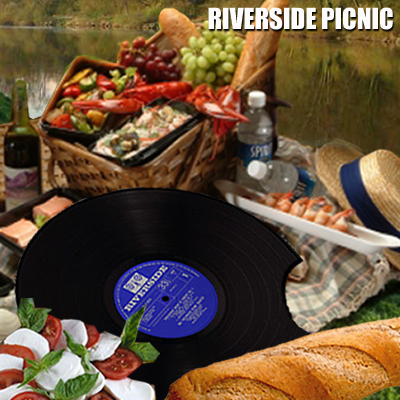 A true Riverside picnic. Note: no national stereotype escapes unmocked at the LondonJazzCollector. If there is any country I have missed, do not worry, there will be a stereo type post coming up soon. Source: record shop, London, unremarkable. Music, quite remarkable. 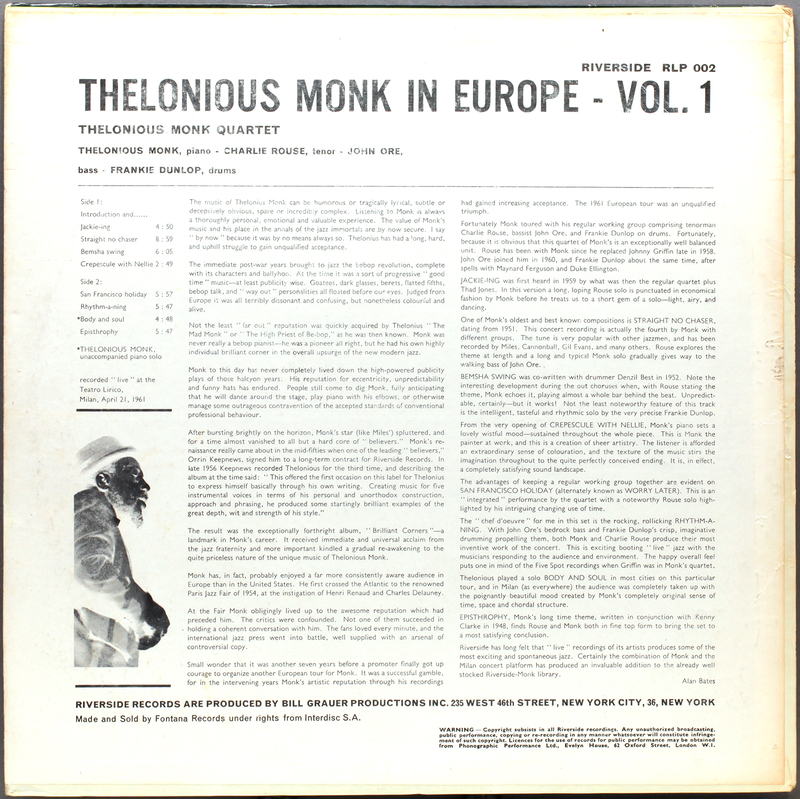 This entry was posted in Riverside, Thelonius Monk and tagged Charlie Rouse, Frankie Dunlop, John Ore, Riverside, Thelonious Monk, Yrup by LondonJazzCollector. Bookmark the permalink. Thank you. I promise not to peek as I like the suprise. Keep up the great work. While looking for a cover image of Cannonball Adderley’s San Francisco LP on Riverside I stumbled across your photo files of Flickr or some such and there were pictures for that very LP. Sadly I can’t find the review of it on londonjazzcollector. Has it been written or is it yet to be published? Looking forward to reading it either way! Do you have the Jazz at Massey Hall album on two Vogue 10” LPs or the later 12” edition? Love to read a review of that too. Caught me red handed John. I’ll confess everything in return for a lighter sentence. At any point in time there are many posts still in draft. The photo upload to Flickr has works in progress awaiting a music rip, including a couple of Adderleys, so you can expect San Francisco soon. The great Massey Hall Parker/Gillespie concert I have on the original 12″ Vogue ( Decca pressing) . I wouldn’t be at all surprised if that turned up too, now you mention it. Definitely one for the ever growing “Silly hats on record sleeves” collection.